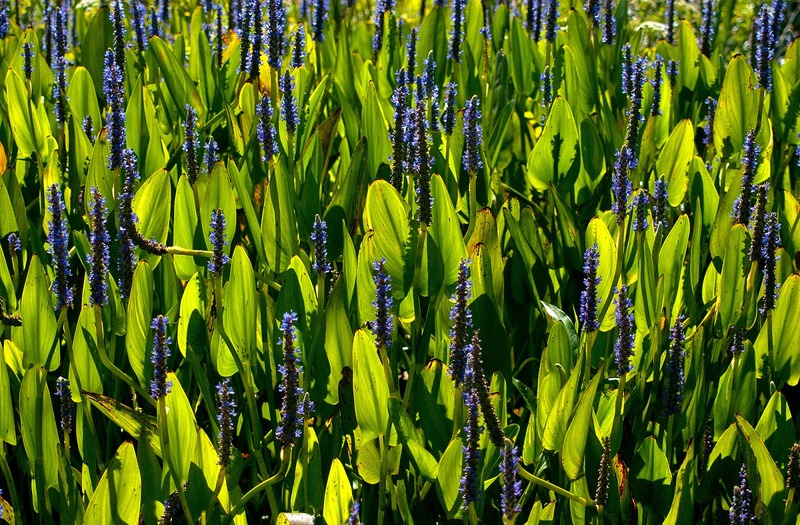 The Pickerel Weed is in full bloom in the Emeralda Marsh. There are huge expanses of this beautiful marsh plant visible from the wildlife drive. We have some growing in a small pond in our garden and it will spread like wildfire. 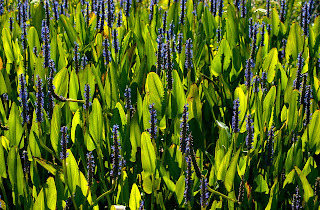 It attracts butterflies and even hummingbirds will make a brief stop at the blooms.